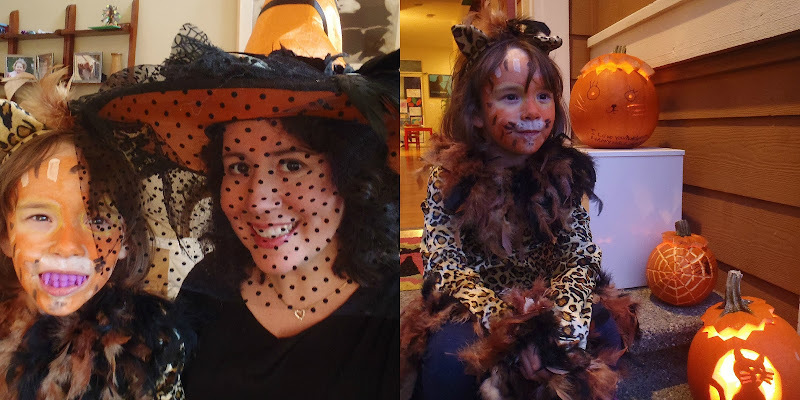 I still don’t know if my kiddo’s Halloween costume was a cheetah, or a leopard, or an ocelot. She changed her mind almost daily. On Halloween day, I think she was going with cheetah, but I’m probably wrong (again) about that. 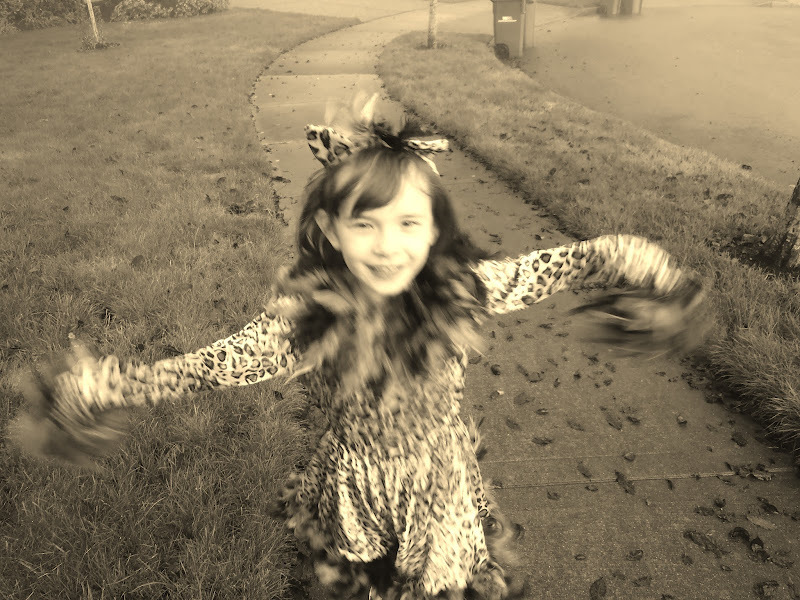 One thing I do know, my cheetah-leopard-ocelot was EXCITED and doing her Halloween dance before school. This is all PRE-SUGAR mind you. . . There are a lot of leaves on the ground – it would be so dandy to go jump and play in them, but they are soggy, soggy, soggy. We get a sunny day, then a rainy day, sunny, rainy, sunny, rainy. Soon it will be rainyrainyrainyrainyrainy. ‘A Nightmare Before Christmas’ tableau from my mom-in-law. Julia is obsessed with Jack & Sally. She’s never seen the movie mind you, but she’s got the CD and last year, I think she listened to it at least 100 times a week. The fact that I didn’t run screaming from the house is a good indication of the music’s fundamental quality, I think! On Halloween morning, we woke up to some really foggy fog. I love fog. I also love the movie ‘The Fog’. You can’t ask for much more from a horror film than ghostly scythe-wielding pirates, now can you? I think not. Julia insisted I take a picture of her Pillow Pet. Its name is Pillow Pet. During pumpkin carving, we discovered that the mighty Rosebud likes to eat pumpkin. That’s going to make for a fun litter box, eh? Fiber! Laxative? I also discovered that Andrew has been hiding some hidden craft skills from me. 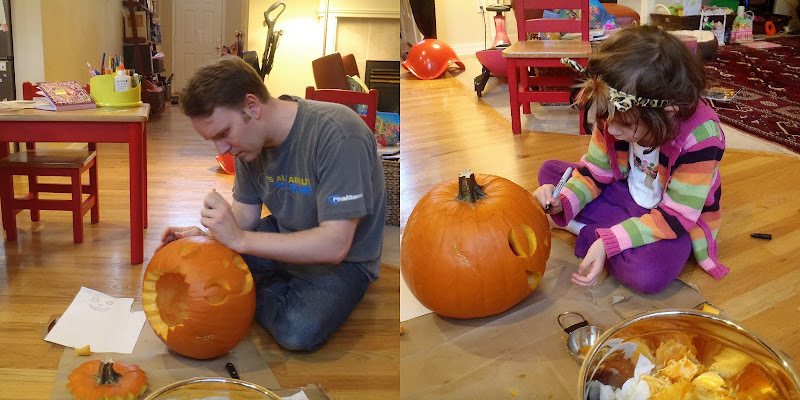 He carved all our cat-themed pumpkins and they were FANTASTIC. And we discovered that the missy takes after her mommy. She likes to boss people around and give nonsensical orders that no one can understand. I love my BOO garland! Every year it goes up. Every year people get their heads stuck in it. I love it so. Please admire my Victorian Witch Hat! Isn’t it too fabulous? It’s been decided by my mom-in-law and I that it will also double as my Easter bonnet next year. Also please admire the kiddo's purple teeth that she got at her school Halloween party. She LOOOOOVES them. The ocelot-or-cheetah girl was very happy with her Halloween Day. 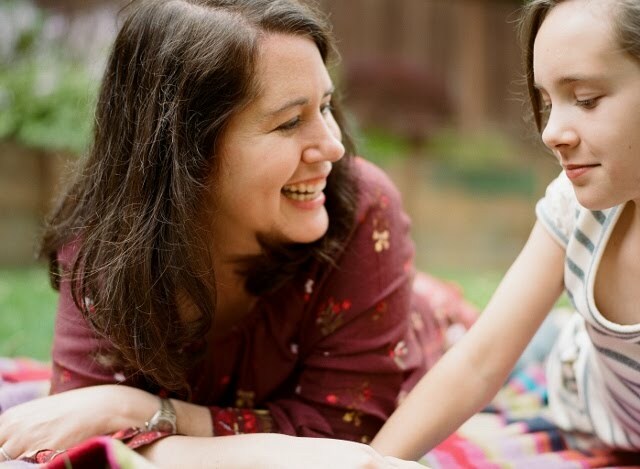 “Didn’t you think it was the best Halloween ever Mama?” She shoveled in a ton of taffy, sweet tarts and gummi candies before having a meltdown right before bed and then falling asleep. Now if that’s not a good Halloween, I don’t know what is. Look at this. Ridiculous. I couldn’t do this if I had ten hands. My husband is ALWAYS going to be our pumpkin carver! Awesome job on Julia's face painting! She's a true cheetah/leopard/ocelot. ;) You've got mad painting skills - I thought about doing some rabbit face painting for my kids but chickened out. I don't think my efforts would have turned out nearly so well! Oh, and here are my little rabbits: http://littlepeanutshop.blogspot.com/2011/10/it-was-blue-jacket-with-brass-buttons.html. The photos aren't the best, since I'm still trying to keep my kids' faces off the net, but you get the idea! Thanks you two sweet ladies! I have to state right now that I DID NOT paint Julia's face -- some 4th grader at her school did it during their Halloween Carnival -- can you believe it?? There's no way I could have done any better of a job! I was so impressed!! !